1950s: man talks to teen boys, girl and woman, looks at clipboard and walks down hallway in school. hd01:16CIRCA 1940s - New Marine Corps female recruits meet with a chaplain and receive medical examinations at the beginning of training at Camp Lejeune. hd01:39CIRCA 1953 - Men at the US Army's Guided Missile School get a lecture on orientation day. 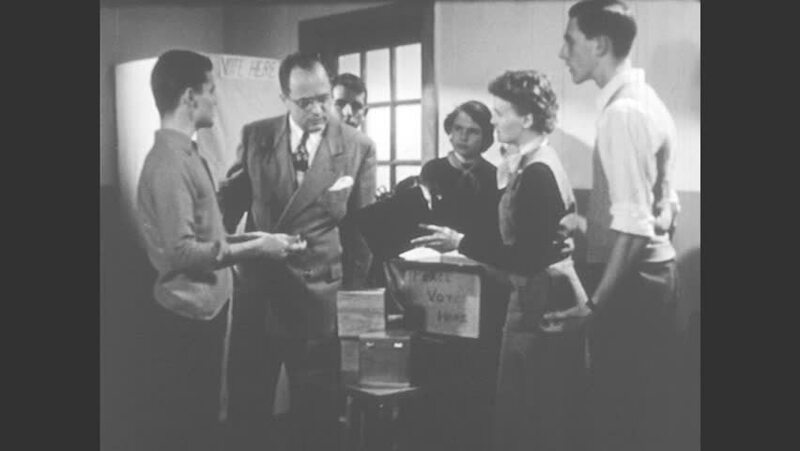 sd02:011950s - This 1950s film explains how best to make educational films for use in the classroom curriculum. 4k00:171960s: Man with glasses walks from living room. Seated men talk and watch tv.